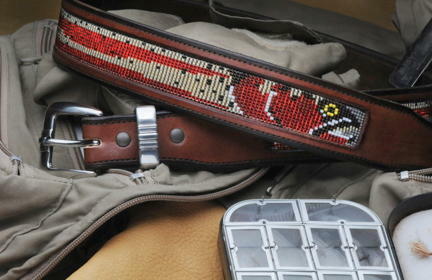 Beaded trout, game birds, western designs custom made into original, beautiful and tough leather belts. © Reserve Belt Company 2009-2018 Proprietary design. All rights reserved.